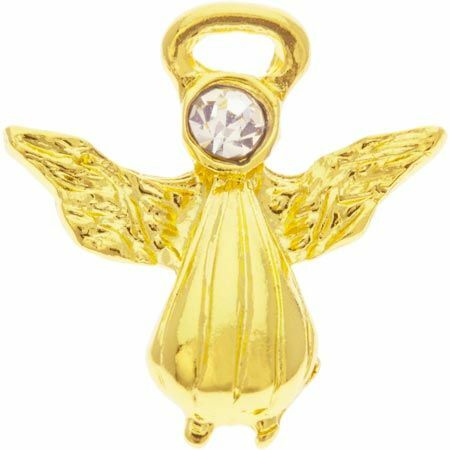 Guardian Angel Lights the Way Pin gold plated. Large clear crystal halo 5/8 inches. Inspirational angel pin. We all believe in angels.